He's (almost all the way) back! With all new tooling, something straightforward would make sense (not that that has ever stopped us) to begin with, to work out all the kinks and learn the new controls. Not sure. I've got a couple of kits that I'm thinking about. But that popcorn engine keeps calling me. One of the kits is the#7 Twin. Probably that. Carl (aka Zee) Will sometimes respond to 'hey' but never 'hey you'. The attached picture is the base for the PMR Twin #7 model. You see the four posts sticking up through which the crank goes. How to drill/ream for the crank? Standing it up in the mill and using a long bit seems a no go. Not enough head room. Doing it with a short drill from both ends doesn't sound like a good idea. I doubt the holes will be true. Much like tunneling from two directions. 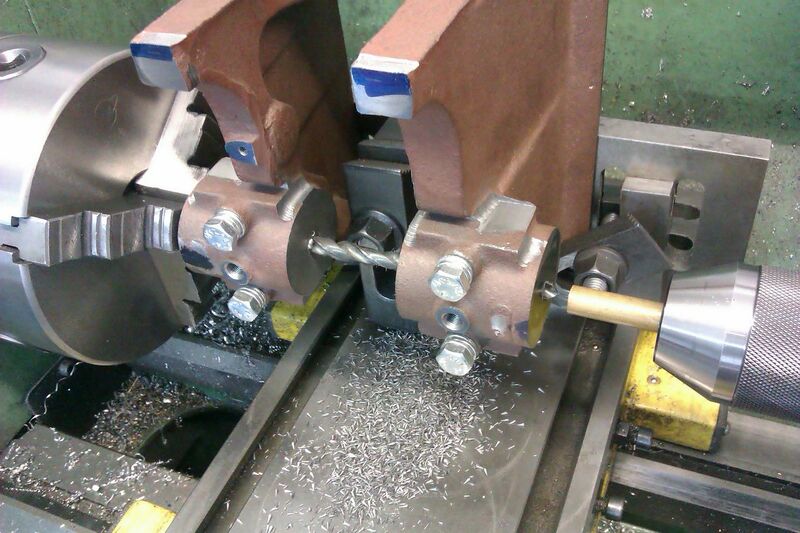 Another option is to clamp the base to the lathe carriage and use a long bit in the chuck. For the lathe I'd have to be pretty careful to be in-line with the chuck and at the right height. P.S. I've already flycut the bottom. More on that when I start a build thread. I'm not seeing the picture...? Sorry about that. It's attached now. Thanks. Could always mill off ghe posts in one go, close to the base, and make four bearing blocks that bolt on. 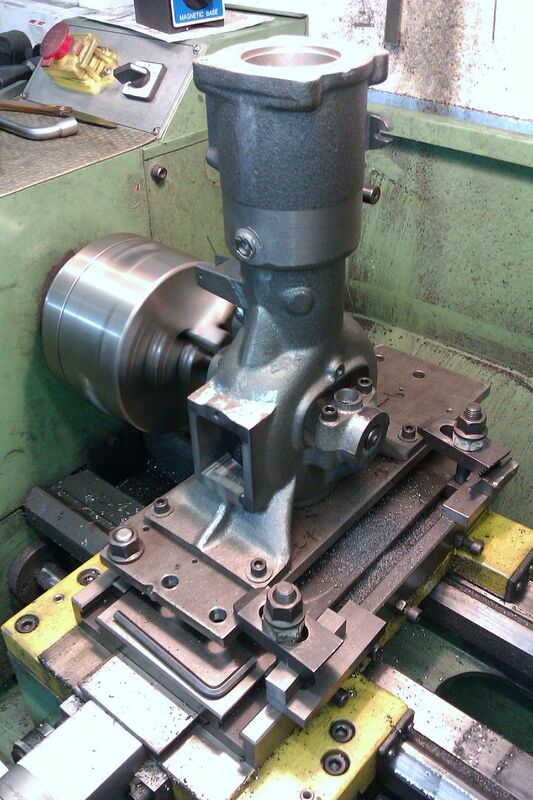 As for doing it in the mill, can you use a drill size for which you have a collet? Then ream behind the drilled holes. Just my 2 cents. That would destroy 'the look'. Not sure. I do have a 3/16 collet for the first go. But would need to get a 15/64 to enlarge before reaming. Then there's the reamer. Which looks like it could fit a 15/64 collet but I'm not sure. The base would stand about 7". The drills and reamer would have to clear that and still get through all 4 posts. About 5" of travel. Seems I would need 12" spindle to table. I have 11". Possible if I'm willing to move the table between operations. I'll look into that more (mount the base in the mill) and see if my math is right. Anyone have thoughts about using the lathe? Good or bad? P.S. Bill...your 2 cents (as well as other forum members') are generally worth a fortune in my shop. I assume the shaft size is 1/4". Couple of times i put the 3 jaw chuck on the mill spindle, so I could choke up on the drill bit and reamer, gained some soace. Depends if the thread is same on your mill and lathe? I do it often too Chris for drilling and reaming only. Really helps on Sherline/Taig sized machines. @Chris...I guess that works with a Sherline. I don't see a way to put a 3 jaw chuck on the mill...and it's very large. No thread on the mill. R8. I'll mock it up this weekend and see what kind of space I really have. I sure am interested in people's thoughts about using the lathe to do this though. The drawings state "To ensure the Cylinder is square with the Base, chuck on the cylinder so it can be bored and the base end faced in the same setup". That 'in the same setup' seems to imply a lathe. No? But I actually don't know what that statement means. And two cylinders right? Zee the lathe is fine as long as you can get the height right. 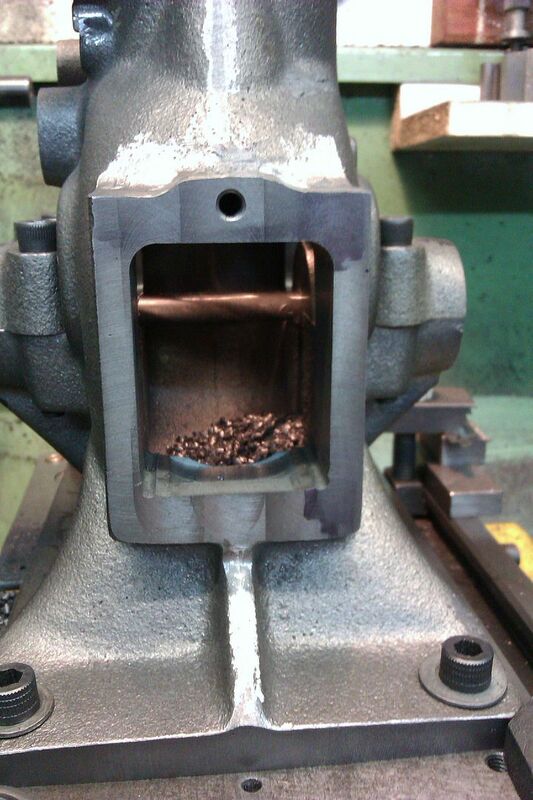 Fortunately the cylinder bores and crankshaft hole(s) should be at the same height. I'll give it a shot. What could go wrong? 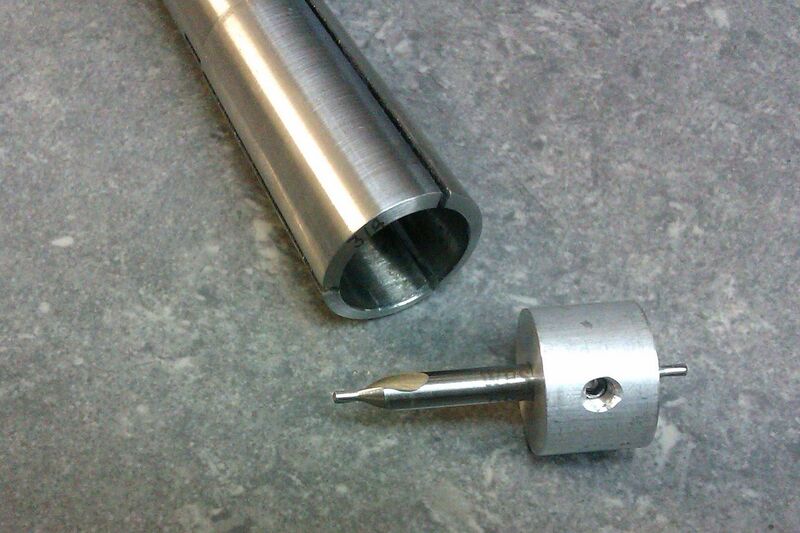 You could also do it in the mill if you don't have a specific collet then make a simple bush to take the drill bit and to fit a larger collet with a grub screw to clamp the drill bit. 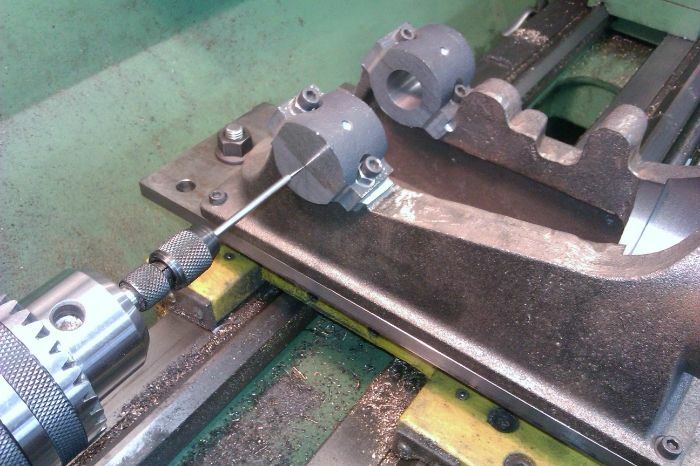 Alternatively 6.0mm is a good pilot for a 1/4" reamer and collets available. Would up through a few lengths of drill starting with a standard then long series and then extra long series if needed. Bad Behavior has blocked 16007 access attempts in the last 7 days. Page created in 0.402 seconds with 19 queries.